OVER TWO HUNDRED YEARS AGO, the U.S. passed its first Patent Act. 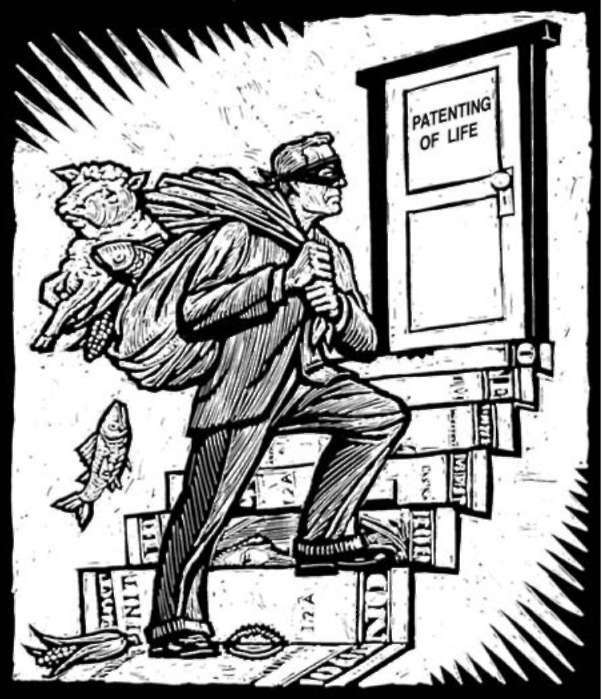 Under this law it was understood that life forms were “products of nature” that could not be patented. However, in 1980, a misguided 5-4 Supreme Court decision changed the patenting of life picture by allowing for the patenting of a genetically engineered bacterium. Over the next decade the U.S. Patent and Trademark Office (PTO), without the approval of Congress, extended this decision to allow for the patenting of plants and animals. This two decade old PTO policy of allowing patents on life forms has significant national and international implications. Most immediately, it has led to the patenting of thousands of plants and animals and other life forms which always had been viewed as part of nature’s shared heritage. This corporate enclosure of the living commons ensures a few corporations’ control over most of the seeds of the earth. These patents have also become the key economic trigger for agricultural biotechnology while at the same time limiting the access of the public to various food crops, medicines and important research materials. The patent policy has also resulted in a number of pernicious technologies receiving patent encouragement and protection. These include the technique of creating herbicide resistance in plants which allows for continued and increasing use of chemicals in agriculture. Patents have also been granted to U.S. companies for crops such as Basmati rice which are grown in the developing world. 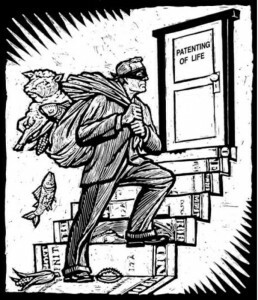 These “biopiracy” patents allow corporations to control the use and sale of these crops, thereby potentially depriving millions of Third World farmers of free use of their own native and traditional used plants. If continued, this will destroy the livelihood of these farmers and increase world hunger. The CornerStone Campaign has initiated a number of efforts to monitor and change the PTO’s policies on the patenting of life. This includes a wide-range public and media education campaign. CSC is funding legal challenges to life patents filed by organizations and farmers from around the globe. Additionally, CSC is developing innovative legal strategies that seek to restore public control over our shared genetic heritage.